Similar appearance and faster growing than the regular Archonophoenix cunninghamiana King. 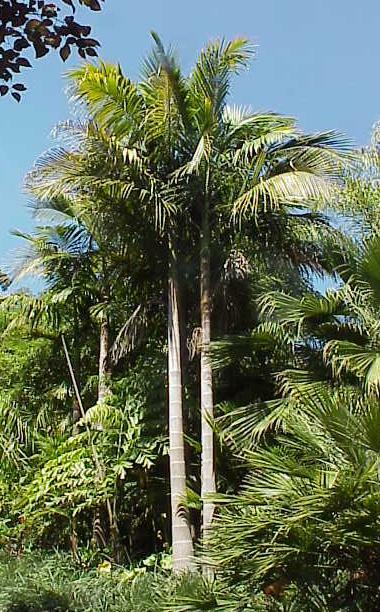 The growth rate is also approximately four times faster than A. cunninghamiana therefore it is not suitable as an understory palm. The tree is easy to identify since mature trunks show the wide spacing between the nodes of trunk ring. Flower stalk develops below the crownshaft. Originated in Australia south of Sydney. The smaller canopy spread make this a good choice for mass plantings to create the tropical landscape. The height and rapid growth rate limits the use of this palm to areas that are truly frost free.